Is salt dangerous in your diet? What can we do to cut down on our salt intake? Is it possible to reverse cancer and other epidemic diseases affecting all of us today? There is a split right down the middle of modern medicine. One half, boosted by dazzling high technology, shows brilliant results in handling acute diseases and emergencies. The other half, dealing with chronic degenerative conditions, is lagging behind, unable to offer more than symptomatic treatment for the most widespread distressing conditions ranging from cancer, heart disease and hypertension to diabetes, arthritis and morbid obesity. It is assumed that these and other “diseases of modern civilization” are both inevitable and incurable. Charlotte Gerson and “The Gerson Way” contradicts all such assumptions. Charlotte shares with you the theory and practice of the Gerson Therapy, developed over 80 years ago by Dr. Max Gerson, MD (1881-1959). She shows that the increasingly denatured, nutritionally empty, toxic modern diet is the main cause of today’s worsening health crisis. This show offers the solution in the form of a brilliant, precision-built nutritional program that eliminates the underlying causes of disease, leading to lasting cures. “The Gerson Way” is known for its success in curing many types of cancer, but it also has an excellent track record with a large number of other degenerative conditions. 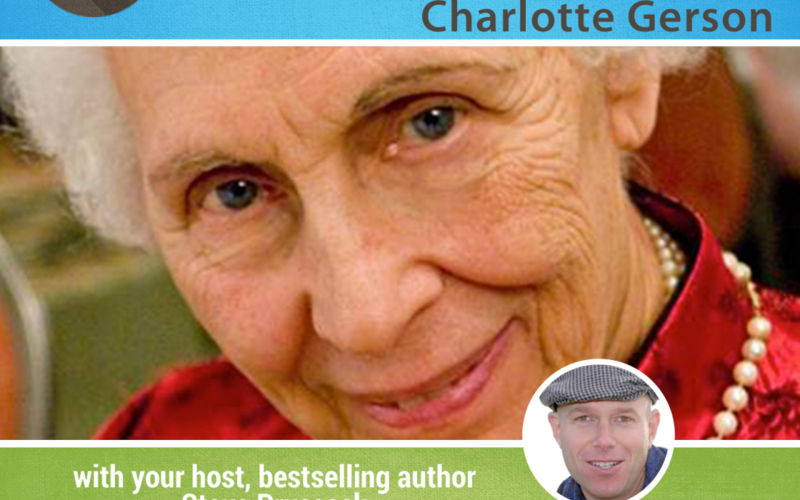 Charlotte Gerson is the founder of the Gerson Institute and the daughter of Max Gerson, the creator of the Gerson Therapy. Born in Germany, she attended Smith College in Northampton, Massachusetts. Charlotte owns the copyright on two excellent DVD’s describing the Gerson Therapy, showing recovered patients. The first one, “The Gerson Miracle” won first prize at the Beverly Hills Film Festival in 2004. The later one, “Dying to Have Known” describes the attackers’ claims and counters them with Surgeons and Professors showing cured, formerly terminal, patients treated with the Gerson Therapy and recovered. Charlotte’s recent book, Healing the Gerson Way – Defeating Cancer and Other Chronic Diseases, written in cooperation with Beata Bishop. It came out in August, 2007 and has been translated into 12 languages. In addition, Charlotte has written two additional books, Defeating Obesity, and Diabetes and High Blood Pressure — The Metabolic Syndrome; and Defeating Arthritis, Joint and Bone Diseases.